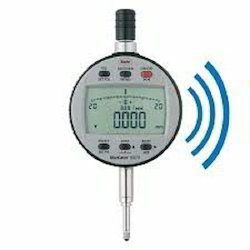 We are an acclaimed name engaged in offering our precious clients a superior quality range of Digital Indicator. Our offered range is designed by our professionals using high-grade components and advanced technology in compliance with the international quality standards. In addition to this, our products undergo various tests under the supervision of quality controllers to ensure their flawlessness. Clients can avail these indicators from us at market leading rates. 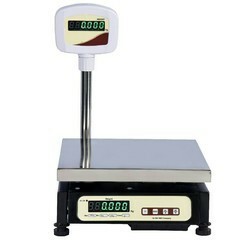 Chicken weighing scale is used for industrial, retail and for Weighing agriculture products. Chicken weighing scale is also use as wireless scale. High quality rechargeable battery is used in this scale. Its battery backup is minimum 24 hrs in continuing uses.This chicken weighing scale has only front LED (Red or green) display. This model can be easily transferred from one place to another place by only one person like traveling bags.